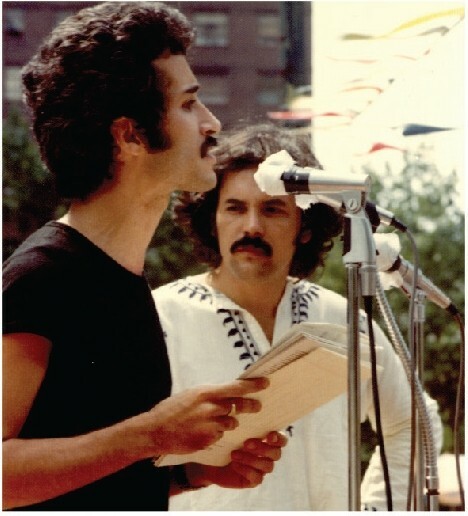 Former assistant manager and director of organizing for the NY/ NJ Regional Joint Board of the Union of Needle Trades and Textile Employees (UNITE), de Jesús was also a member of the New York City Hispanic Labor Committee, the AFL-CIO Labor Council on Latin American Advancement, the Young Lords/ Puerto Rican Revolutionary Workers Organization and the National Congress for Puerto Rican Rights. Collection consists of newsletters, biographies, reports and focuses on activities in the New York metropolitan area. Ramón Delgado Ramos was a judge and notary public, as well as a poet, writer and musician from San Juan, Puerto Rico. 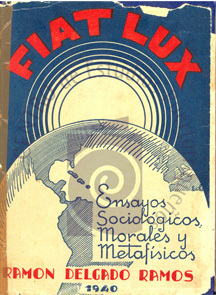 The collection includes original sheet music and lyrics by Delgado Ramos, photographs, some are autographed, certificates, a promotional movie booklet for the film Solomon and Sheba and six small books, including an epistolary memoir, essays on religion, spiritualism and metaphysics, and a publication titled Puerto Rico Ilustrado dated May 1940. The Department of Puerto Rican Community Affairs in the United States (DPRCA), 1989-1993 replaced the Migration Division in 1989 as a cabinet-level department of the government of Puerto Rico with the mission to address the multiple concerns of the Puerto Rican community in the United States. In justifying its creation, the law stated “certainly we are one community separated by the sea but integrally united by culture.” The department’s mission expanded as it was officially transformed into an overseas department. The DPRCA administered the following programs: Agricultural Migrant Workers Service; Business Development; Cultural Promotion; Human Resources; Legal Assistance; Library and Archives; Political Education and Orientation; and Social Welfare. It also managed the following regional offices: Boston, Massachusetts; Camden, New Jersey; Chicago, Illinois; Cleveland, Ohio; Philadelphia, Pennsylvania and Hartford, Connecticut. In 1992, the department was declared unconstitutional on the grounds that as citizens of the U.S., Puerto Ricans did not need representation from the government of Puerto Rico. Along with other offices of the government of Puerto Rico in the United States, it closed its public service operations in 1993 and centralized administrative functions in the Office of Puerto Rican Federal Affairs in Washington, D.C. 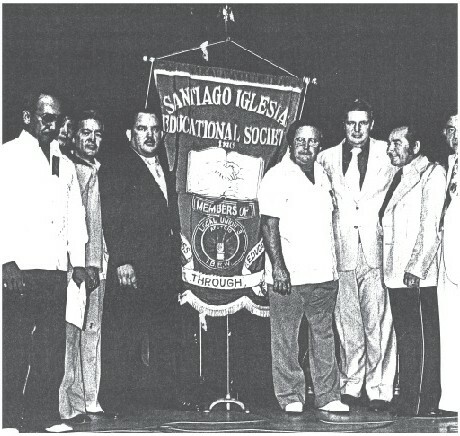 The Santiago Iglesias Educational Society was formed by members of labor unions from various industries, such as the New York City Central Labor Council, the AFL-CIO, and the International Brotherhood of Electrical Workers Local Union #3, to address the needs and concerns of Puerto Rican and other Hispanic workers and communities in the United States. The collection consists of documents, such as personal and biographical information, the organization's constitution, correspondence, flyers, programs, certificates, photos, clippings, meeting minutes, agendas and course descriptions relating to the society, its members and activities. This collection complements other Santiago Iglesias Hispanic Educational Society collections. Social worker, activist and academic. A founding member of community based organizations such as the Puerto Rican Forum, ASPIRA, the Hispanic Youth Association, the Puerto Rican Family Institute and Boricua College. Manuel Díaz trained as a social worker and led numerous institutions and initiatives, among them the Puerto Rican Community Development Project, Mobilization for Youth and PROGRESS, Inc. He served on the faculties of Columbia University, Boricua College and Fordham University. 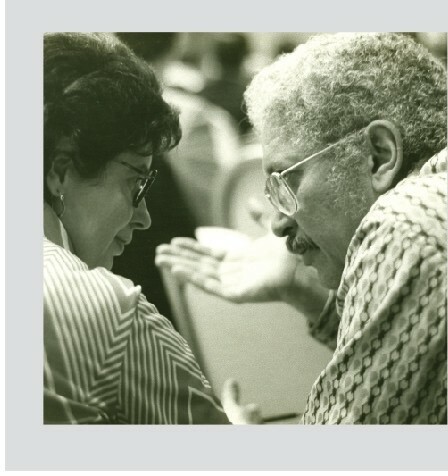 The papers contain significant material on the life and work of the Puerto Rican social worker and community organizer. His oral autobiography is preserved on a series of audiocassettes, as well as recordings of his academic study, travels and community work. Writings by Díaz detail his life and outlook on the issues of his time. The collection contains correspondence, photographs, audiovisual files and artifacts. 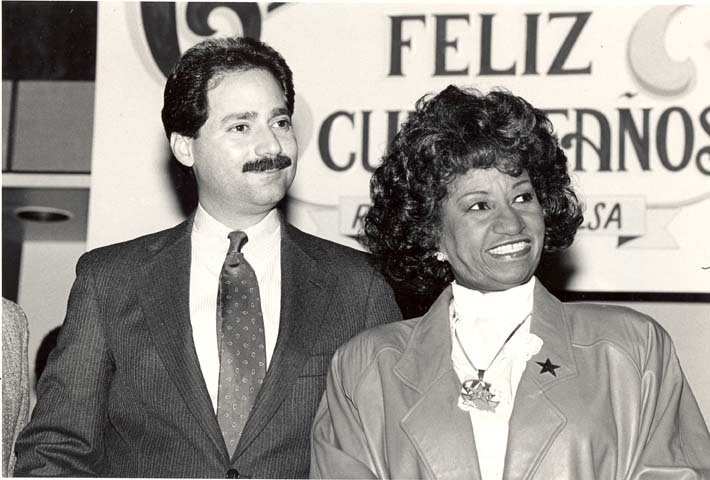 The first Latino Program Director for the Ford Foundation (1983) and a Senior Fellow at the University of Minnesota’s Hubert H. Humphrey Institute of Public Affairs, William Díaz was vice chairman of the Minnesota State Latino Affairs Council and helped found the Puerto Rico Community Foundation. He also served on the boards of Hispanics in Philanthropy, ASPIRA of America and ASPIRA of New York, Inc. and the Council on Foundations, among other organizations. Collection contains correspondence, speeches, reports, brochures, resumes, newspaper clippings and event programs. The papers span various geographic regions, including New York, Minnesota, Wisconsin and Maryland. Genealogical collection consisting of family portraits, personal documents and a passenger list from the New York and Porto Rico Steamship Company. A civic, non-partisan association committed to the political education and empowerment of East Harlem residents. The East Harlem Common Ground sought to raise awareness of issues that affected the community and cultivate leadership amongst its members. Through educational forums, town hall meetings and workshops, the group’s mission was to “make the people of East Harlem a positive force in shaping the political decisions that affect their lives.” Collection includes agendas, maps, a guidebook and member listings. Founded in 1979 by residents and community leaders in East Harlem, East Harlem Council for Community Improvement, Inc. focused on the delivery of a broad range of services to the residents of Manhattan’s Community Planning Board #11. It later expanded its reach and provided services to communities in the South Bronx, Lower East Side, Central and West Harlem. Filmmaker and communications specialist. Collection contains videocassettes, film reels, mixed audio tracks and numerous publications. This collection focuses on the PBS Latino program, Visiones, and footage of Los Sures, his 1984 documentary film about five residents of this Brooklyn neighborhood. Award-winning poet, visual artist and founding member of the Nuyorican poetry movement. Of Puerto Rican and Dominican descent, Sandra María Esteves became the first Nuyorican woman to publish a volume of poetry in the United States. The collection includes poems and short stories. 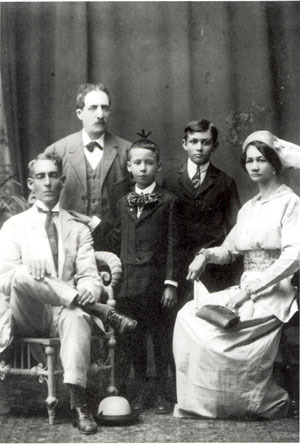 Born in Santurce, Puerto Rico, in 1932, Pedro Falcón was one of Inocencio Falcón’s and Josefina Figueras’ six children. After losing his mother at an early age, Falcón helped parent his siblings, especially after his father left to New York City in search of job opportunities. In 1947, he moved to Brooklyn at the age of 15 and joined the rest of his immediate family. The Rehabilitation Program Pioneers Julio Martínez, Carlos Pagán and Pedro Falcón Collection are an important resource that documents the contributions these three Puerto Rican pioneers made in drug treatment and prevention programs in New York City and throughout the country. The collection consists of awards, correspondence, clippings, flyers, notes, programs, publications, photographs and writings. An educational project by the Center for Puerto Rican Studies. During a hearing before the Commerce, Justice, State and Judiciary Appropriation Subcommittee, Congressman José E. Serrano (D-NY) asked FBI Director, Louis J. Freeh, about the existence of secret FBI files on Puerto Rican individuals and organizations. To much surprise, the director admitted such files existed and offered to make the documents available. The documents revealed the extent to which FBI agents tracked, monitored and persecuted pro Puerto Rican independence activists and organizations. This collection consists of approximately 134,000 pages of formerly secret FBI files and contains information on Pedro Albizu Campos, Luis Muñoz Marín, COINTELPRO and 17 Puerto Rican organizations. Anibal Félix migrated to New York from Santurce, Puerto Rico in the late 1940s and became a lifelong resident of East Harlem. During the 1950s, he was a music promoter and was employed at Metropolitan Hospital, eventually becoming union representative and shop steward. He was an avid Latin music collector and baseball enthusiast. His papers consist mainly of LPs and audiocassettes documenting Cuban and Puerto Rican music, particularly rare recordings of trios. New York City Council member from 1982-1987, Bronx Borough President from 1987-2001, Fernando Ferrer made two mayoral bids in 2001 and 2005. 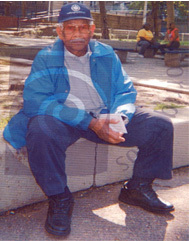 He was a member of ASPIRA in the late 1960s and served as vice-president of the citywide ASPIRA Clubs Federation. He received a B.A. from New York University and an M.P.A. from Baruch College. Collection includes DVDs, awards, newspapers, audiocassettes, photographs and reports. The papers document the dynamic academic career of renowned Puerto Rican and Cultural Studies scholar Juan Flores. He received his Ph.D. in German Literature from Yale University and was a professor of Latino Studies at NYU. He served as Director of the Centro de Estudios Puertorriqueños from 1994-1997. 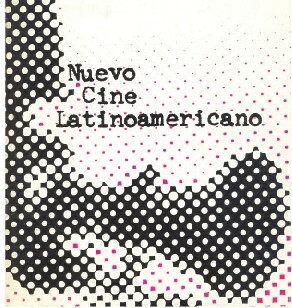 His collection extensively documents his research on popular culture and music in Puerto Rican and Latin America, the Puerto Rican diaspora community and Nuyorican poetry. Flores published significant books and articles on these subjects such as From Bomba to Hip-Hop (2000) and The Diaspora Strikes Back (2009). This collection consists of clippings, correspondence, photographs, publications, speeches and writings. Author, playwriter, academic and poet on gay themes. He collaborated with the Puerto Rican Traveling Theater and the Center for Puerto Rican Studies in cultural projects geared toward the Puerto Rican community. Available on Microfilm. The collection documents the family's participation in the American Legion, Borinquen Post 1216, baseball teams and views of their residence in the Bronx in the early 1940s.